With the weather forecast variable, some predicting no rain, others a lot of rain, and the temperature around 12°C, we headed for the West Park for a “must win” fixture against last years league winners who were also unbeaten so far this season. The key question before the match was would the terrible trio be playing? They were supposed to be and Walid was down to be captain but had, apparently, cried off on Saturday evening. Captain Weston finally used the correct coin and promptly lost the toss but this is irrelevant as using the correct coin means we win the match. MICs chose to field and were obviously putting their faith in one of the forecasts predicting rain and were hoping for a 20 over second innings bash to win the game. 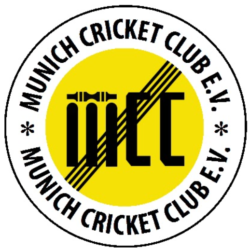 Only one umpire had been allocated, Maxi Hoeck of Tegernsee, so the batting side had to provide the square leg umpire. Lovell and Weston opened and put on a brisk 47 for the first wicket when Lovell went for 8 in the 8th over. This was the highest first wicket partnership of the season and the first to break the 40 run barrier to go in the partnership stats. Van Dalsum replaced him and, on his third ball, smashed a typical six off his legs to the square leg boundary – welcome back was the encouraging shout from the pavillion. The run rate was maintained and VD fell in the 15th over after a partnership of 55 and the score on 102. Ferguson replaced him and set about building a proper innings while Weston hammered away at the other end, finally falling for 80 in the 25th over with Ferguson on four. Thereafter all the batsmen made useful scores and kept the run rate up around six or more. The final wicket was a run out on the very last ball with Blades sacrificing his wicket trying, along with Garner, to turn an easy one into a very difficult two. 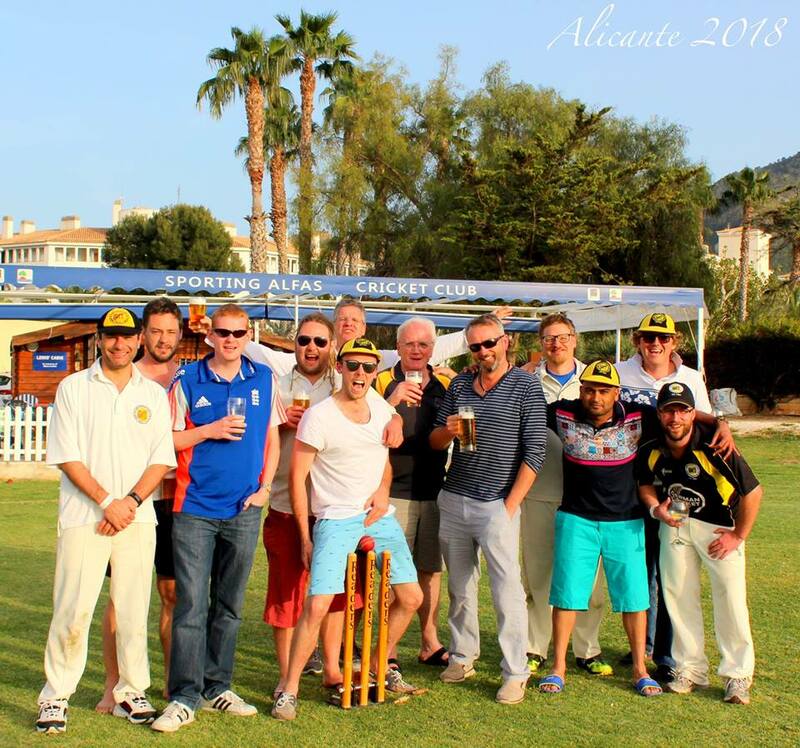 MICs had taken a leaf out of MCC`s bowling and donated 31 wides and the final 40 over score was 261 for 10. At the 20 over drinks break, there was an additional 13 minutes due to a sharp rain shower making 18 minutes in all, but this cleared away quickly leaving the outfield wet and the ball difficult for the bowlers to control. The MICs innings began at 16.27 with Durn and Rajdaniel (Johnson) opening. Rajdaniel went, caught behind for 8 in the 5th over but wouldn`t accept he was out, claiming he had not hit it and it was a wide ball. This led to some ugly scenes but after several minutes during which the umpire and the MCC players were verbally abused he left. The MICs kept up with the required run rate and, from the 15th over onwards, continued to bat in increasingly heavy rain. Helped by an eventful 19th over from Garner (2 – 15) taking them to 115 and needing only 10 to reach the better 20 over score, they were set back when Sear bowled a supurb 20th over costing only three runs, so from MCC`s point of view it could rain as much as it liked. There was a rain break from 16.41 to 17.08 and the rain had been heavy resulting in a very wet outfield and hard work for the bowlers. None of the MICs batsmen, apart from Krishna with 41, made a decent score and they were all out for 153 after 26 overs. MCC won the wides and no-ball battle too, bowling 34 wides but, in all fairness, the no-balls were probably due to the slippery state of the ball and the Flicx pitch. MCC man of the match – difficult, either Weston for his 80 or Sear for his very tight bowling which ensured MICs did not reach the winning score at 20 overs and thus couldn`t even consider calling the game off due to rain and a wet playing area.